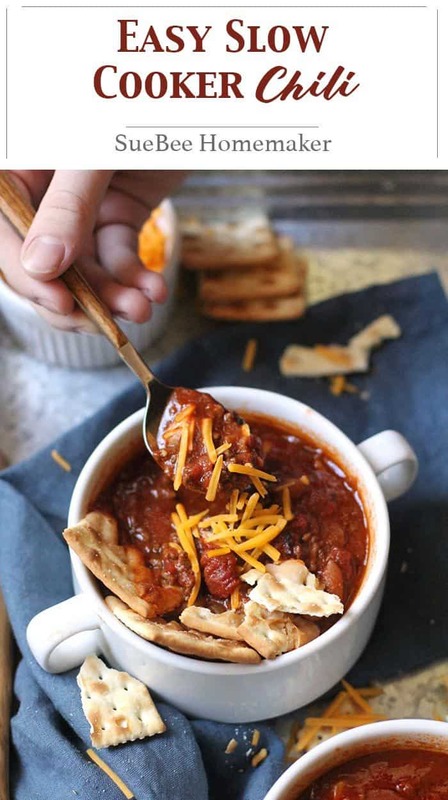 My Easy Slow Cooker Chili is based on my mom’s recipe plus some extra spice. Lean ground beef, white beans, tomato juice, and diced tomatoes make this a lean and mean meal for the new year. This recipe is Norma Jean’s plus a little adapting by me. I asked my siblings if they remembered her recipe and my smart-alecky brother, Dave, texted, “Recipe?? I don’t think so. 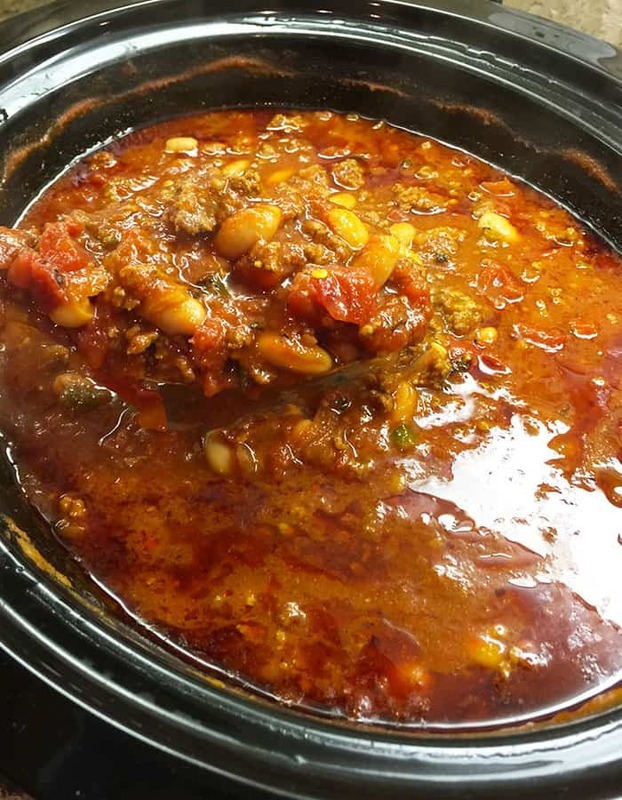 It goes something like 3 quarts homemade stewed tomatoes, ground beef, a bunch of beans, and lots of onion and chili powder to get Don off my back.” Ha! As you can see, Dad LOVED onions and chili powder in his chili. Lots of it. Since I didn’t have an ACTUAL recipe from Mom, I added a few ingredients to her base, like cumin, jalapeños, and diced tomatoes, instead of her homemade stewed tomatoes (because I don’t have any homemade stewed tomatoes). Mom and Dad had a huge garden with lots of tomatoes, peppers, and onions. And Mom spent a lot of time canning in August, when tomatoes were coming out of her ears. Dad couldn’t eat them fast enough. They were SO good. The following pictures are from my parents’ yard before we moved them in 2013. 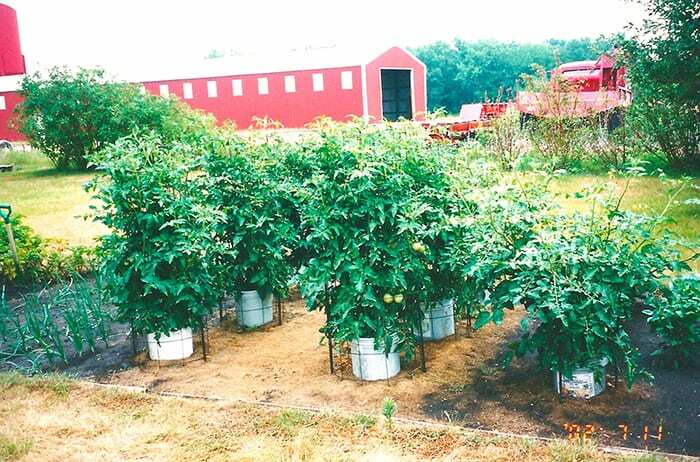 They had a huge garden with very large and high producing tomato plants. Mid-August was prime season for eating tomatoes. One year, they sent me a box of them, carefully wrapping them in bubble wrap. I would say about 2/3 of them survived the journey. 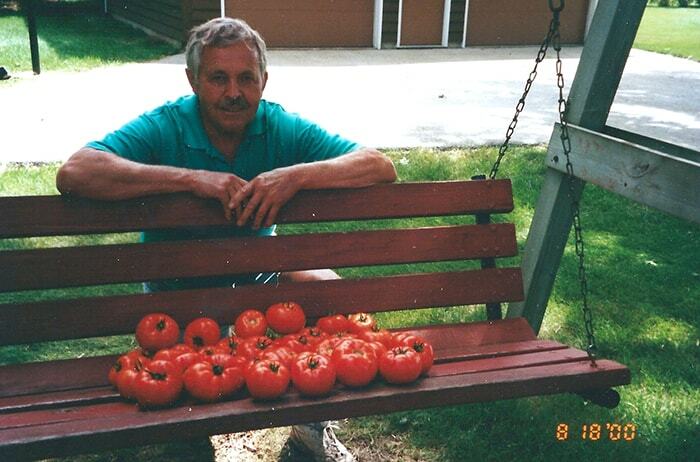 Dad was very proud of his tomatoes, and ate them for breakfast, lunch, and dinner when they were plentiful. 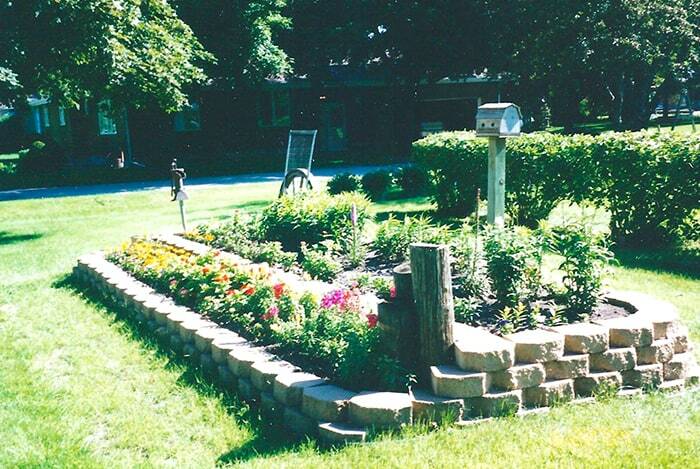 Mom’s beautiful flower garden was her pride and joy. It sat directly across the street from the church, so everyone enjoyed it each Sunday. If you don’t like spicy, do the following to this recipe. Skip the jalapeños in the sauté. Use regular diced tomatoes instead of fire-roasted ones. Reduce the amount of chili powder and cumin. Omit the red pepper flakes. 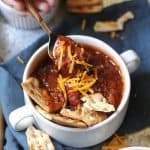 My Easy Slow Cooker Chili recipe should definitely be on your list of meals to make in the new year. It’s lean – low in calories and high in protein – and makes a great game day meal as well. A hearty chili, with lean proteins, beans, and tomatoes, and slow cooked to perfection! In large sauce pan, heat olive oil to medium high heat. Add onion and jalapeños, and sauté for approximately 5 minutes, or until soft. Add ground beef, chili powder, cumin, salt and pepper. Cook until meat is browned. To large crock pot, add the ground beef mixture. Add tomato juice, diced tomatoes, tomato paste, cannelloni beans, and sugar - and stir to combine. Cover and cook on low all day, or up to eight hours. 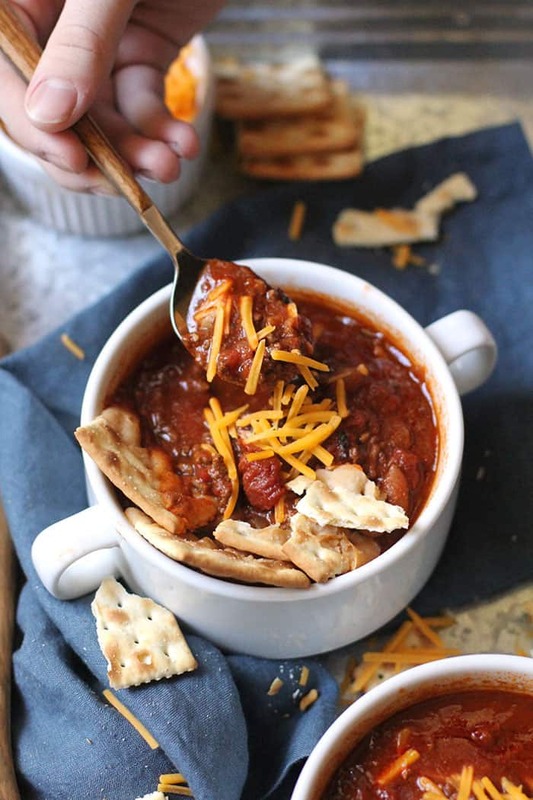 Serve chili with shredded cheese, saltine crackers, and sour cream. If you don't like spicy, do the following to this recipe. Easy and delicious. I did notice that it didn’t say when to add the garlic, but knowing Sue’s other delicious recipes, I added it to the ground beef. I have never added tomato juice to a chili. It was a really easy addition and helped it serve more people. 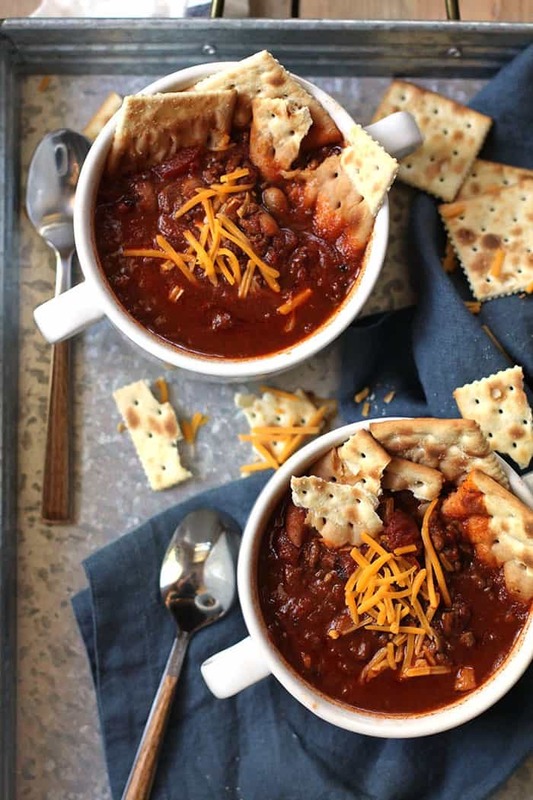 On cold winter days there is nothing better than a bowl of hot chili, and when you pair that with a football watching party you really can’t lose. Thanks for this delicious chili recipe Sue! I doubled the recipe and I think there is enough left for one bowl.